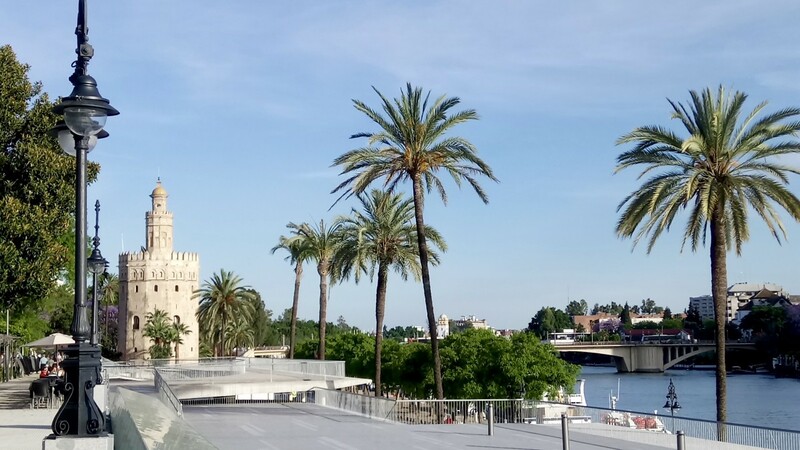 To visit Seville is to gain firsthand a deeper insight into and experience of the source and nature of Christian Catholic belief systems which were imposed upon Amerindian cultures at the time of the conquest by Spain in the 16th century. There is an intensity to religious life here that is particularly keen. The passage of time is marked by the passing of the sacred year in the daily masses, in seasonal rituals, in feast days, in processions, in the chiming of countless church bells across the city. All this was transported wholescale across the ocean to the Americas and imposed systematically upon autochthonous cultures together with the systematic eradication of their own belief systems and practices. Cities such as Cuenca, Quito, Lima, Cusco, are now the surviving products of this intensive evangelization which came with the first conquistadores in the person of Fray Vicente de Valverde y Alvarez de Toledo, the Spanish Dominican friar who carried the cross in the company of Francisco Pizarro, and handed to Inca Atahualpa the bible containing, as he said, the word of God. 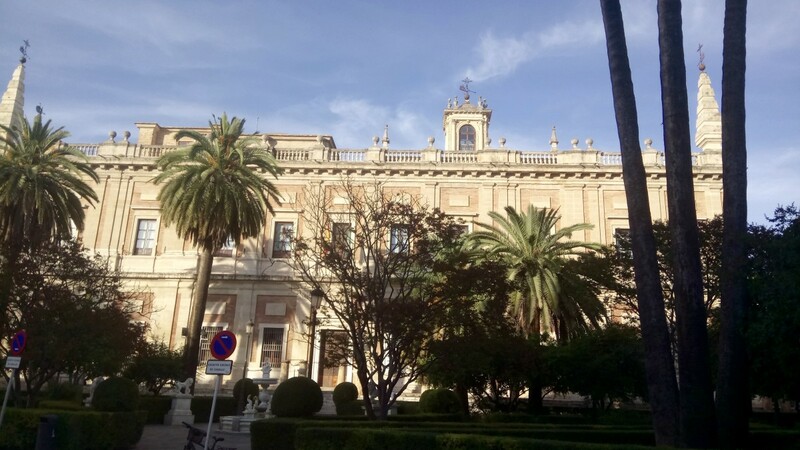 Although the city of Madrid – made the capital of Spain by King Philip II - was home to the Royal Council of the Indies - Consejo Real de Indias - and the bureaucratic brain of the machinery of empire, it is hard to overstate the importance of Seville as its symbolic heart. It was to and from here that the Flota de Indias - the silver bullion fleet – sailed; received, finally, at the Torre del Oro – the golden tower – of medieval Moorish origins, on the Guadalquivir river, where barges delivered the bullion and cargo offloaded at Cádiz, the sea port further south. The fleet carried with it not only the silver and gold from vanquished Amerindian empires, and cargos of sumptuary goods, spices, tobacco and sugar, pasajeros a indias, Crown and ecclesiastical officials, soldiers and sailors, but all the documentation relating to the administration of Spanish imperial affairs overseas. Here are housed the thousands of letters, reports, petitions, statements, court records and chronicles – pages of individual experience from some human being caught in their own place and time of history, which found their way in ships’ holds back across the ocean to find their final resting place at the Archives. Here you feel that you can reconnect with the latent energy of that time. All around there are other researchers, lost in their own little virtual worlds, pouring over lejagos –stacks of tattered yellowing pages covered with the scrolled elegant but faded handwriting from those days. The Archive is like the memory bank of a vast mind, each volume a neuron containing enshrined within it a memory, a group of memories; a story from the long past of a lifetime, an account of lifetimes. It is a house of experience: of summers and winters, of home making and journeying; a portal into another dimension of people and their worlds that passed so many years ago. A modern hand now holds the faded parchment, reads the scrawled handwriting of that other across time: two people holding hands across a vast divide of time. I have visited the Archive several times in recent years and it is always a privilege to work there and to feel a part of the process of interpreting history through the original accounts contained in those documents. Through them one can build a view of the nature of the world people lived in and the metaphysical framework through which they interpreted their universe. So now concludes this phase of the ethnohistorical research and from it will come the second project phase representing the development of the health beliefs models and the health beliefs questionnaires that will be taken into the study populations in September.